For the past few months I've been doing loose watercolour paintings in my sketchbook featuring wild animals and geometric shapes. It's an exercise to be more spontaneous with my design ideas and to loosen up. 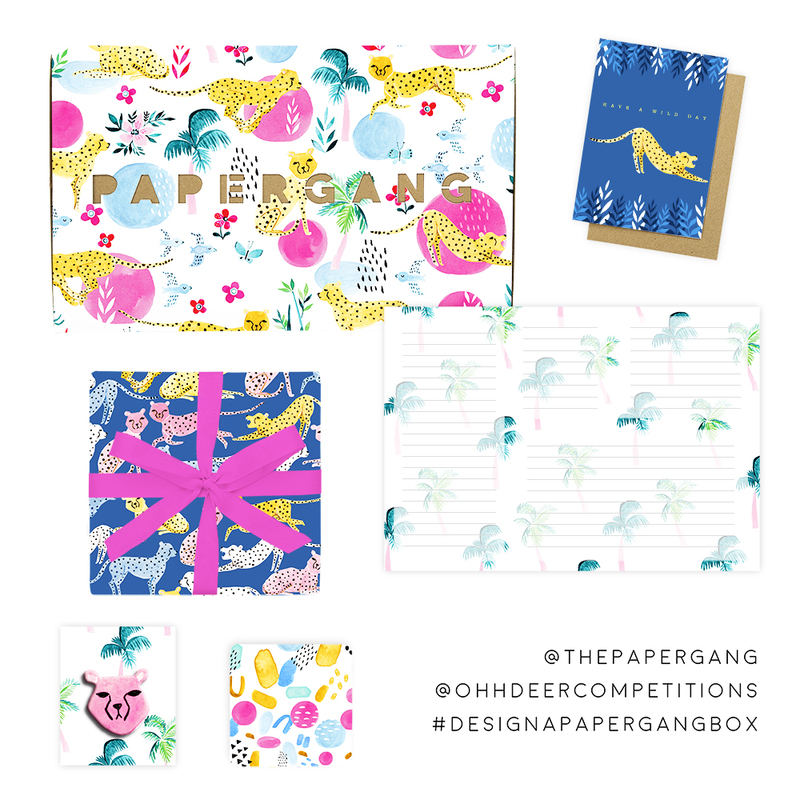 I recently came across a competition to design a stationery subscription box set for Ohh Deer, and decided to create a collection entirely drawn with watercolours and featuring one of my favourite animals to draw: the cheetah. I wanted to capture the speed, movement and fun nature of these wild cats and to create a colourful and vibrant pattern. I created 5 designs in total, all using the same icons but with different layouts. I don't know if you knew this, but I have a Youtube channel where I share design inspiration, tutorials, vlogs, and more. 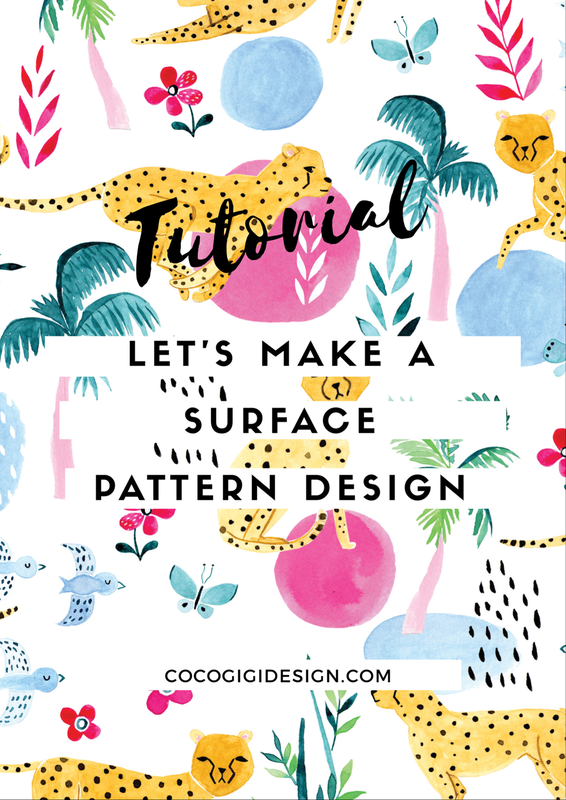 I put together a video tutorial showing you how to make a surface pattern design from scratch. Let me know if you have any questions in the comments below and I'll be happy to help you out if I can.